The Minnesota Twins. Now there is a fan base that knows their processed meat. And I love Minneapolis...in the summer. Not to mention the relatively new Target Field is one of baseball's true gems of a ballpark. Seeing a game there is a treat for any fan...in the summer. The Twinkies get their name from the fact that they are the team for the Twin Cities of Minneapolis and Saint Paul. Love the old Twins logo of the two ballplayer shaking hands across the river that separates the two towns. But twins means two. Two of exactly the same thing. 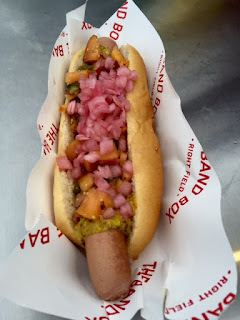 So it is in the truest sense of upholding the twin definition the I created the Double Dog Dare Dog. 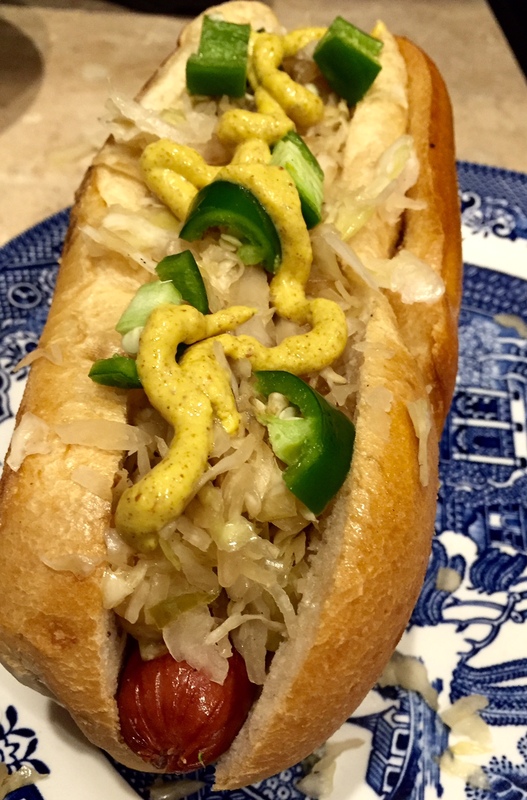 On a large hoagie but, put in not one BUT TWO Hebrew National franks, top with grilled sauerkraut and diced jalapenos and then pour on some spicy brown mustard. Double the taste, double the meat, double the treat. The next time you have the Twins on the tube, whip up a Double Dog Dare Dog, plop on the sofa enjoy it with a beer. Make that two beers. 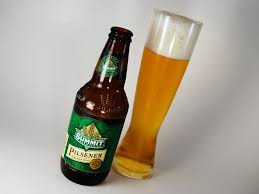 Beer pairing: While it is only available in about 20 states, Summit beer makes a crisp pilsners that will go nicely with the Double Dog Dare Dog. One of Minnesota's finest beverages. Baseball in Tampa is cool. You know why? It's air conditioned; all the time. The Tampa Rays play in the only pure dome baseball stadium. While most other teams that could use a roof over their head from time to time have built retractable-roof ballparks, Tampa remains mired in the 1970s and uses the domed Tropicana Field. You know what I like about domed ballparks? Nothing. But is does keep it cool when the temperature outside is broiling. Speaking of broiling, you won't need a broiler to prepare the creation called the Cool Ray Dog. Why? Because this is one of the few pieces of edible art I have created that you put your favorite brand of veggie dog on. Florida is mostly coast you know, you have to keep your beach body in mind so for this dog we skip the meat and focus on vegetables and fruit. Start by grilling your bun along with the veggie dog (I recommend Field Roast). 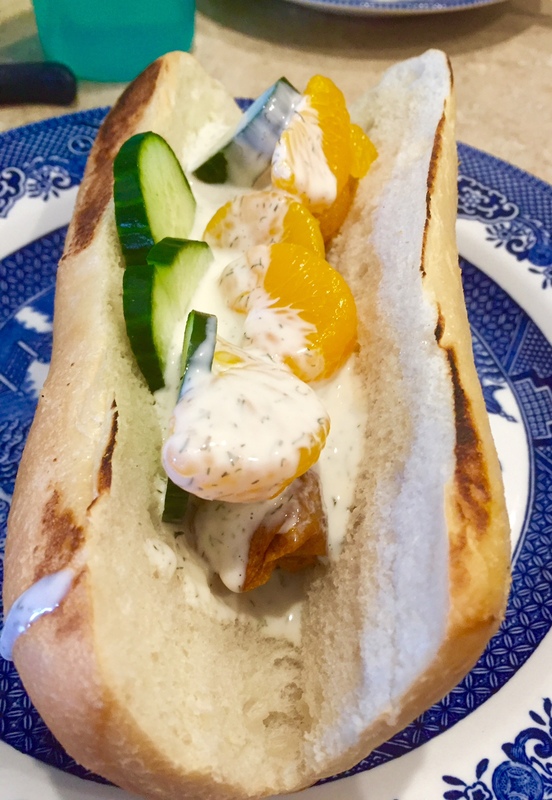 Top with sliced cucumbers, mandarin oranges (they do play in Tropicana Field after all) and then pour on cool ranch dressing to taste. This delectable dog will keep you fit while pleasing your tummy. And hopefully, it will detract you from how horrible the artificial turf in the dome looks. Beer pairing: The oldest town in America? Saint Augustine, Florida. While not near Tampa, it is in the same state. Oldest beer in America? 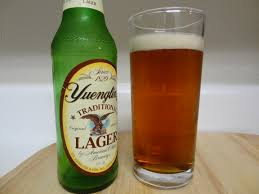 Yuengling. That's a Pennsylvania beer, but guess where they have their second brewery? Yep, Tampa. Wash down your Cool Ray Dog with one. I hope you had time to catch the All-Star Game in San Diego's PETCO Park last week. Me? Wanted to, but as I am too cheap to have cable I missed it. I thought for sure MLBTV would broadcast it, especially since I plunked down lots of bucks for it. But they didn't, reading the box scores was my All-Star experience. Thanks MLB. If you did see it, you know what a gem of a park PETCO is. Great baseball venue. I lived in San Diego off and on for 12 years during my 24 year stint in the Navy. But, when I was living there that area was a bunch of rundown warehouses and the Padres played in the utilitarian and ugly Jack Murphy Stadium. What I did learn during my time in San Diego is that it is a great town with strong ties to the the ocean that dominates its western boundary. What I learned during 24 years in the Navy is that we pay our service members waaaay too little for what they do. If you have ever been in the military you know how hard it is to make ends meet. 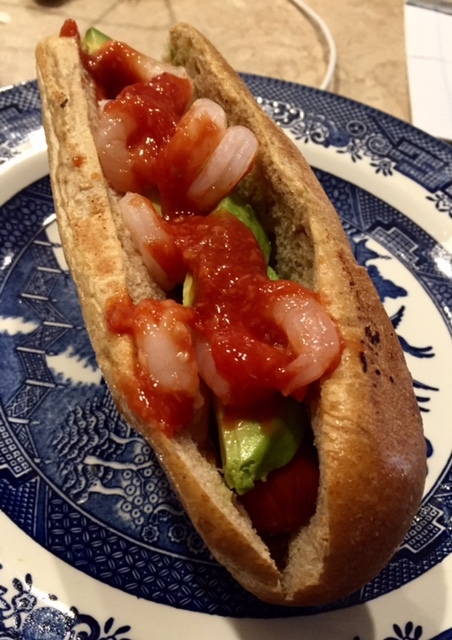 It is with San Dog's seaside heritage and recognition of those that serve never having much expendable cash that I introduce the hot dog designed for PETCO Park: The Poor Man's Surf and Turf. Start with a big bun; because buns are cheap and filling. Lay in a delicious all-beef (kind of like steak) Hebrew National frank, top with sliced avocado and cocktail shrimp (kind of like lobster). Pour on cocktail sauce to taste. It is like surf and turf on a bun, but at a much lower cost. If you follow the Padres, like I have for years, you know that the cost of a few of these dogs is about the same as the Padres payroll. The Padres, forever the team selling off its talent. Beer Pairing: You know what washes down the Poor Man's Surf and Turf Dog best? San Diego's southern border butts up against Mexico. Considering the beach and Mexico being within easy reach of any San Diegan, the beer paring can be none other than a cold, crip Corona. The second half of baseball season has begun! It coincides with the the day after National Hot Dog Day. I hope you celebrated in style! 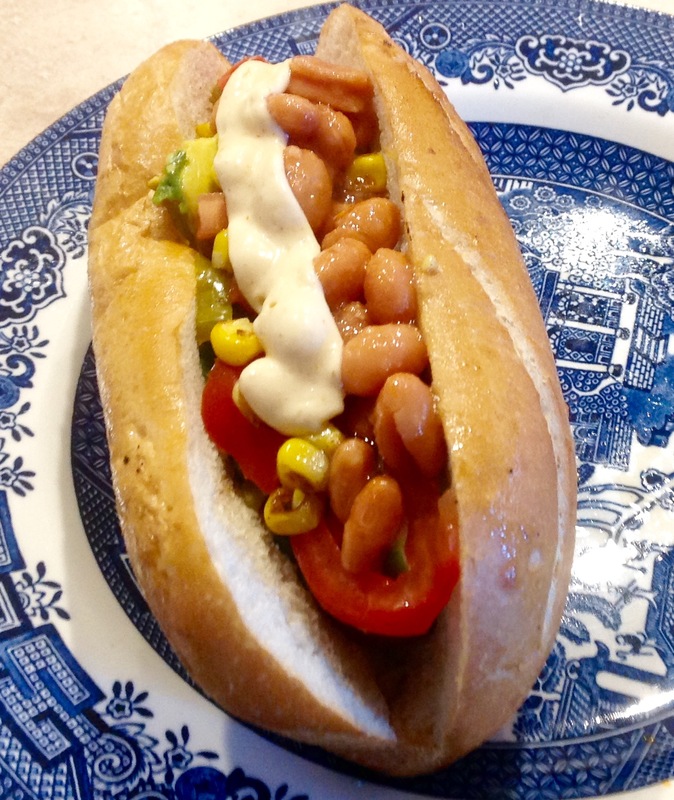 I tuned in the 1975 World Series (courtesy of MLBTV) and served up my latest creation for the virtual MLB Hot Dog Tour: The Snotty Sonoran. Start with an over-sized bun, coat the bottom with a healthy dose of Cholula Sauce, lay in an awesome Hebrew National all-beef frank that is wrapped in bacon, diced tomato, grilled corn, onions, avocado, pinto beans, diced jalapenos, and top with chipolte mayo. This concoction will give you one of the southwest's best kept culinary secrets with an extra kick. 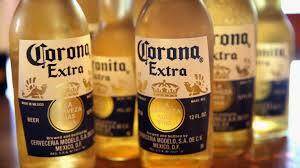 Wash it down with a Mexican beer and keep a box of kleenex handy. Beer pairing: A Mexican-inspired hot dog deserves a Mexican beer. 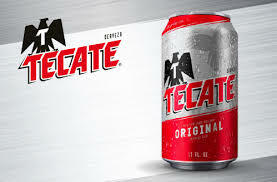 Tecate is a widely available and affordable beer that will help squelch the heat that the culinary combustion of the Snotty Sonoran puts in your mouth. This year my baseball road trips are few and far between. I squeeze them in when I can. Since last year I have had a pressing urge to see the Nashville Sounds new ballpark. I saw a model of it at their old digs, Greer Stadium. It is not only very near downtown Nashville, but the guitar-shaped scoreboard concept transferred over to First Tennessee Ballpark, this time using state-of-the-art technology. So when a photo-journo assignment took me to Tulsa, I pushed an extra nine hours (one-way) to hit Nashville and take in a Sounds game. I have led a good life. At least I must have. After raining most of the day, and raining all around the ballpark, the precipitation held back for the entire game. As far as the ballpark is concerned, I was not disappointed. Parking was steep, and somewhat outrageously priced for a minor league game, but ticket prices were fair. I loved the open concourse concept that every stadium should have and Nashville has built a pleasing and slick ballpark without overdoing it. The star of the show is of course that scoreboard. It really is amazing and cool. Love the new park. The hot dog? Not so much. Firstly, I had a hard time finding the specialty dog. Like many teams, they do a poor job of advertising the over-the-top dog that should have you drooling just by word of mouth from other fans. I did find it, it is in the cleverly named “bandstand” area of the ballpark. Their premiere entry's name? The Hot Dog. Hard to create a buzz with a moniker that mundane. I was excited to try it though, it boasts a Porter Road Butcher frank (a local Nashville company), Yazoo mustard, pickled onions and peach relish. It sounded really interesting. I love it when teams source locally, and had never heard of peach relish. I couldn't wait to bite in. And then I did. I hate to say it, but is was really one of the worst hot dogs I have had at a ballpark. I wanted it to be fantastic, and it wasn't even good. Sorry Nashville, I call 'em as I see 'em. This dog could be saved. Firstly, it needs a new name. Secondly, and most importantly, it needs a new frank. I thought the Porter Road Butcher frank was a veggie dog or something. The taste, the texture...it was all wrong. I recommend replacing it with a Hebrew National. HN is tastey, recognized by all fans, and likely less expensive than a crafted frank. And while peach relish might be good on lots of things, it isn't on a hot dog. Call me Nashville. I'll help you design a dog worthy of your fantabulous ballpark. Nashville is a vacation destination. Make sure you plan yours with a Sounds schedule in hand, you don't want to visit Music City without seeing a game. Just get a hamburger while you are there.